READ THIS! IN THE DEATH CHAMBER BOSS FIGHT I HAVE A MEMORY PROBLEM SO INSTEAD I UPLOAD THE NO DAMAGE BOSS FIGHT. prison: 0:35 Lab Complex: 6:05 - boss 12:50 Cabin: 16:00 - boss 21:43 Death Chamber: 25:27 - boss 33:00 Weapon Factory: 36:05 186c Game developed in: 2012 by namco norihiro nishimura (the director).- GAME PLAY - Used fixed machine gun1. A TERRIFYING DECISION. choose the target and recover life. but choose wrong target scary event will happen. even if get the life up its not enough to take one hitAlso use continue in co op the partner will recover life. Still short and there is no roulette choose.2. PANIC ATTACKS player tested by guns.in only solo play result, if player reached specific panicked in every stage, moving seat is shaking for short time. Player can also pass without seat shaking penalty. Also there is no life up in result.3. CAMERA every stage has camera. this is very important in final stage emergency mission. how much destroyed the camera it determine the emergency mission difficulty. Success or not will give ending.there is rank system. if rank is high the damage increased also enemy has more life.P.S THIS VIDEO WAS RECORDED IN 2016-06-20. My patreon if you feel like helping me to make more content like this! https:www.patreon.comLiberalDecay Here's the House of the Dead 4 Special Let's Play with facecam! https:youtu.beKBkNSJGM5xsNot a skill showcase, just a play for fun. 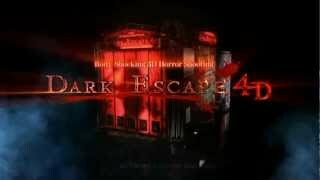 Dark Escape 4D Arcade Game FPS Video Game Noobs Play!